I’ve been singing since I was a teenager growing up in Southern Oregon. My musical roots began with a cappella Gospel with my sisters and in community theater. As a teenager, I toured Europe with a youth orchestra. I later returned from the UK and finally settled in Southern Oregon. I work hard to keep up with my bands, appearing at many local venues with them, and with several other groups. 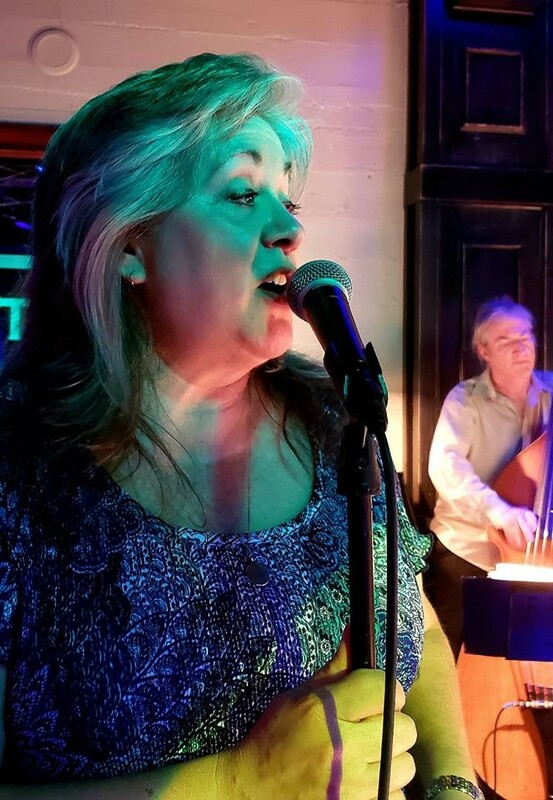 Established over 27 years ago in Ashland Oregon, Blue Lightning has evolved into a high energy dance band with tight grooves and lush vocal harmonies. 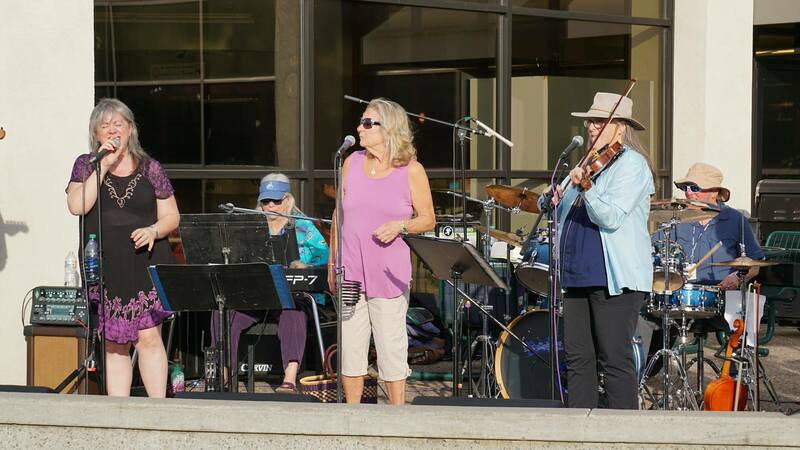 The current lineup includes three founding members: Sue Lundquist on keyboard, guitar and Djembe, Rhonda Loftis who lays down the beat on her drum kits, and Trish Cook on lead and backup vocals. Crystal Reeves plays violin, fiddle and mandolin, sings lead and backup. Cedric Buckingham holds down the bottom on bass guitar. Brent Norton plays lead guitar, sings lead and backup. I joined this amazing band as their lead singer in 2008. A Blue Lightning show is an immersion in good times, dancing and fun. The band enjoys a large and diverse following of loyal fans that make every show special. New fans are made at every gig. Blue Lightning plays a variety of songs with one common thread – their music gets you out of your seat, on your feet, to a good time! Be prepared for a total sonic immersion with the 16 piece big band, Southern Oregon Jazz Orchestra. SOJO is loaded with some great horn playing, great charts and incredible improvisation from some of the valley’s finest jazz musicians. 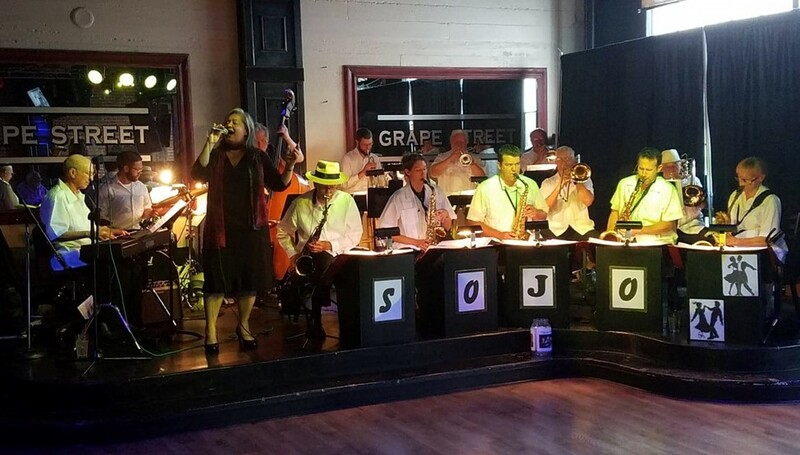 SOJO’s repertoire is a mix of swing, Latin and classic big band arrangements, well known as the most danceable music ever created. Formed by trumpeter Corren Hileman in the spring of 2008, the band has played in a variety of venues, including the Bear Creek Summer Concert Series, Rogue Valley Manor, Seven Feathers Casino, Camelot Theater, Howie’s on Main, Grape Street Bar and Grill, and many more. SOJO plays at many local wineries, and both public and private events around the Rogue Valley. Come see us each month at the Grape Street Bar and Grill. I’ve been with SOJO since 2008! 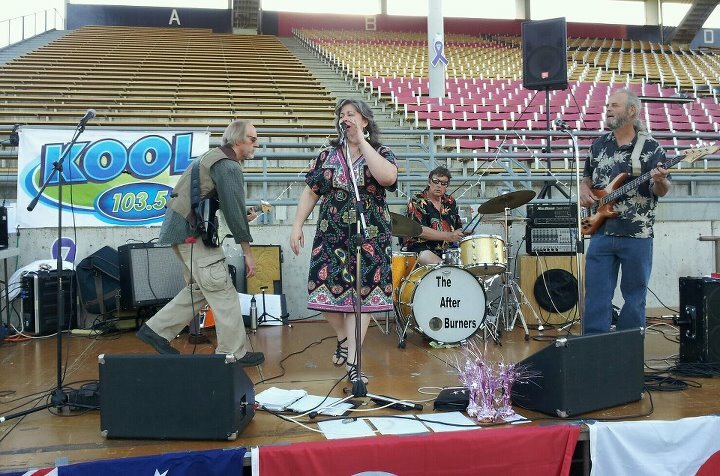 The After Burners, classic rock, surf and blues, from Talent, Oregon. I joined The After Burners in the spring of 2009 as their lead singer, joining members Jeff Ebnother (lead guitar), Mark Cunningham (bass) and Kevin McKern (drummer). In addition to many appearances at festivals and restaurants, AB is a frequent participant in blues jams around Southern Oregon. The After Burners disbanded in 2013, but its members are as busy as ever with their other projects.